If you operate a website, it's likely that you often receive emails offering SEO services. Self-proclaimed experts in search-engine optimization proliferate in today's hungry, high-tech world. 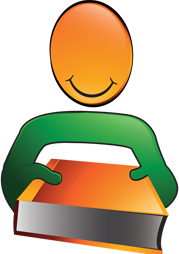 There is no shortage of site owners wishing they knew the secrets to attracting more attention. So SEO techs are in demand. It's often difficult to tell which offer genuine value, which over price their services, and which are just plain scammers (and there are a few of those!). Don Sevcik's Free Traffic Frenzy has the answer. Free Traffic Frenzy contains dozens of valuable secrets for boosting web traffic, and the knowledge needed to make a web-based business successful. Written in plain, easy-to-understand English, it enables readers with no technical expertise to put the techniques described into practice. Meaningful analogies enrich detailed explanations of concepts and techniques, adding interest for the reader and aiding clarity. Don Sevcik is not a theorist. He has proved his expertise with practical application, creating a successful web-based business and coaching others to achieve similar success. If terms like Backlinks, HTTP Requests, CSS Optimization, Latent Semantic Indexing and Pseudo-Queries cause your eyes to glaze over, Don's patient explanations will not only enlighten you as to their meaning and relevance, but show you, step-by-step, how to implement your new knowledge to grow your website visitor numbers and your sales. It's the dream of many in today's hi-tech world: Make money while you sleep, or while you cruise the seas. Set up a web-based business and watch the dollars roll in. Except that all too often, they don't. 'Build it and they will come' isn't an adage that applies in the Internet world. You must induce them. It's your job to source or create a product or service that customers want, and to make sure you can deliver quality, service and value that satisfies. That achieved, it's time to turn your attention to generating traffic and ensuring that the pages your visitors see drive your most wanted response. And Don Sevcik's book gives you the knowledge you need to bring 450,000 visitors, and more. It gives you clues to induce those visitors to drop money into your bank account, and to return often. He makes no idle promises. You may need help to implement some of his techniques, but you can do it yourself with relative ease. And he points to useful tools - many of them free. Free Traffic Frenzy is a rare gem for anyone with a serious desire to create or improve a web-based business. 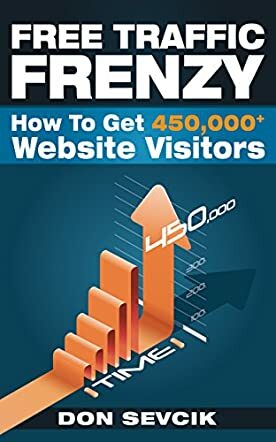 Free Traffic Frenzy: How To Get 450,000+ Website Visitors by Don Sevcik is a non-fiction business book on SEO tools and ways to increase internet traffic for your website. In Free Traffic Frenzy, Don writes from his own experience managing his website and how he increased traffic organically without putting any money in. The book is very well laid out and starts with a basic introduction to the topic and what SEO or Search Engine Optimization is and its increasing importance in today’s internet-based world. After that, he dives in and talks about many topics related to the subject such as algorithms, the right SEO mindset, offsite CEO, page speed, various Google tools available such as Google Analytics, and how to use them effectively, Search Engine Results Page, social media, SEO metrics, the things to watch out for or avoid doing, and much more. 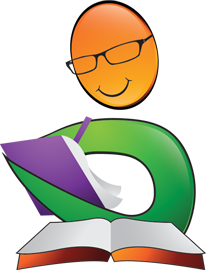 There is also a list of free SEO tools available and a glossary available at the end of the book. 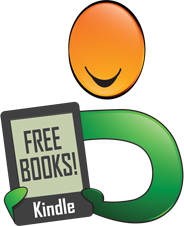 Free Traffic Frenzy is a very relevant and helpful book in today’s increasing internet-dependent world. This book explains all of the key aspects of what SEO is and how it works, and how to get the maximum traffic for your website. There is some technical terminology in the book but it is still simple enough and explained so well that even a lay person can understand the concept. I found the entire book to be very readable and educational at the same time, and it is almost exciting to get such new techniques and insights into how this works. Another thing I appreciated was that Don writes from a practical perspective and the tips he shares are ones that have actually worked for him. I am sure anyone running their own website or looking to increase traffic to a website will find this book extremely useful. Free Traffic Frenzy: How To Get 450,000+ Website Visitors by Don Sevcik is a targeted and focused book aimed at those of us who use the internet to either sell something or draw people to our website to impart information to them. The author goes into great detail explaining exactly how to use SEO (Search Engine Optimization) to massively increase the amount of traffic to your site and perhaps, more importantly, to keep that traffic on your site and browsing until they purchase. This is not one single fix to attract traffic, rather this is a combination of small tweaks and intentional actions that many website owners overlook, to take advantage of the algorithms that drive, principally the Google search engine. The author uses his own particular website, a math problem solving site, and by discussing the issues and problems he has encountered and the solutions to these, he is able to impart knowledge that can help anyone dramatically increase the amount of traffic that is driven to their website. What I particularly liked about Free Traffic Frenzy: How To Get 450,000 Website Visitors was that although some of the technical issues discussed were well outside of my grasp as a reader, the concepts that underline these “fixes” were perfectly explained and outlined using real world examples by author Don Sevcik. So although I personally may not understand exactly how to implement the changes, I can certainly explain them to someone who has the technical know-how. The author’s ability to relay information that is sometimes complex and technical in layman’s terms is the biggest selling point of this book. There are thousands of books out there that purport to tell you how to understand and optimize search engines; however, this one stands out for two reasons. First, the author has clearly achieved success with this formula on his own websites, and second, many of the fixes and suggestions are straightforward and common sense even to those of us who are less “tech savvy”. If you are looking to take your business and website to the next level, this is an excellent book to start with. This book is easy to read and comprehend. The author has organized the information well, using clearly titled chapters and sections, many bullet points and italicized quotations. His use of real-life examples adds clarification – and in some cases, humor – to a large amount of factual data. At the beginning of the book, the author shares his success story of driving traffic to his educational website, Math Celebrity. His credibility builds chapter after chapter; he clearly knows, and communicates well, his expertise in this area. Author Don Sevcik has shared his knowledge and experience in Free Traffic Frenzy: How To Get 450,000+ Visitors For Free. It is a must-read for anyone who is committed to generating online traffic to a website. Free Traffic Frenzy: How To Get 450,000+ Website Visitors is an informative how-to book written by Don Sevcik. Conversational, anecdotal and replete with famous sayings, Sevcik’s platform is about generating traffic (search engine optimization) to one’s site without spending money; organic traffic on autopilot, if you will. He states that he doesn’t care about search engines, only about people, and indicates that success comes from visualizing the ideal visitor to your site and to let the available technology do most of the work for you. 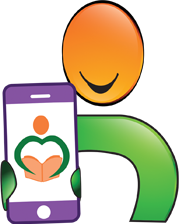 The technology comes in many forms and being smart is being able to utilize its benefits. Sevcik discusses the importance of the executive dashboard which provides a daily briefing and alerts for your website; concepts such as automating by time period, back links and how to acquire them, the power of influencers and testimonials, and using Alexa to increase Organic Rank. Free Traffic Frenzy also discusses the importance of website content and the analysis to improve overall website structure through page speed and running a website through Google Page Speed Insights, caching and using a Content Delivery Network, image optimization, the importance of losing file size and load time, on-page SEO strategies, using Google Tools to help stomp out the competition, free SEO tools and things to avoid in one’s journey to search engine optimization. Sevcik has plenty of information to share and it’s done in such a way that the narrative is informative without being intimidating, thanks in part to the author’s enthusiasm which shines through. However, don’t kid yourself. There’s no easy road to search engine optimization. It requires constant nurturing, learning how to use social media to one’s advantage and putting oneself out there on the worldwide web into forums to boost one’s profile and website. Sevcik’s formula clearly involves one part technical know-how and one huge part time/sweat equity. Overall, great information.